Getting to know the new new executive director of the Children’s Museum at Saratoga. Sarah Fisk is excited. 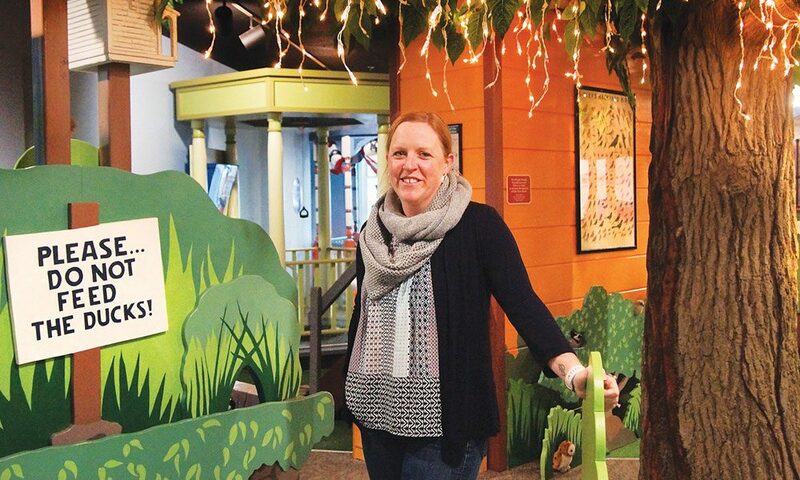 In April, she started as the new executive director of the Children’s Museum at Saratoga on Caroline Street, and says she is thrilled to take on the opportunities and challenges. The Children’s Museum at Saratoga offers an interactive educational experience for children (age 7 & under) and their parents. Set in a classic two-story Victorian building with a modern brick addition, the museum is a wonderland of diversity and imagination. On two floors, visitors will find entire miniature neighborhoods with interactive scenes that include Congress Park, a Silly Science Center, The Spa Little Theatre, and Happy’s Diner. “It is a kid-friendly environment, but most of all it is a kid-driven environment,” Sarah points out as we watch kids prepare a meal for their parents in the tiny diner. Sarah would know. She studied environmental science at Paul Smith College in the Adirondacks, and soon thereafter became an educator at the Junior Museum (Children’s Museum of Science and Technology) in Troy. Her responsibilities involved a variety of hands-on programs that included everything from in-depth science demonstrations to birthday parties. Her position there morphed into senior director of education before she took the new position at the museum in Saratoga Springs. “One of the issues children’s museums face is that the demographic ‘ages out.’ Therefore, building lifelong relationships is a crucial part of our work. It is important that the whole community understands that we bring an important facet to the quality of everyone’s life,” Sarah explains.